Transport Minister Nguyen Van The said transport infrastructure has been a weak point of the region for a long time. He urged the National Assembly and the Government to coancentrate resources on removing this bottleneck by building highways, completing the network of national roads and inter-regional routes, and developing other means of transport such as waterway, aviation and railway. The minister noted that river transport is an advantage of the Mekong Delta, and river routes will be formed to connect the region with Ho Chi Minh City. He also mentioned the adjustment of the planning for Soc Trang and Tran De sea ports towards forming a sea port capable to serve ships of up to 100,000 tonnes, and the construction of a railway route linking Can Tho and HCM City. Minister of Planning and Investment Nguyen Chi Dung said priority should be given to allocating capital for roads specified in regional and inter-regional plans along with waterway. 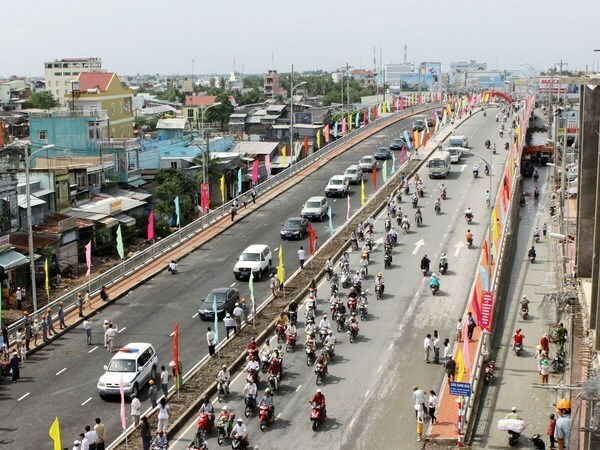 Prime Minister Nguyen Xuan Phuc emphasized that without proper transport infrastructure, it is impossible for the Mekong Delta to develop. He said there will be a conference on connectivity between the Mekong Delta and the southeastern region and Ho Chi Minh City in the near future. Regarding other tasks in the time ahead, the PM underlined those related to climate change and sustainable development. It is important to combine economic development and adaptation to climate change, he said, citing the examples of Israel and the Netherlands. The Government leader requested research into climate change adaptation solutions for the region. He also called attention to social issues such as science and technology, urban development, human resources, health care, education-training and poverty reduction. The Government is planning a conference to review the implementation of its Resolution 120 on sustainable, safe and prosperous development of the Mekong Delta with a vision to 2100.